Head over to Macys.com where you can snag this Calming Comfort Weighted Blanket Collection ONLY $79.99 (reg. $200!!) after using promo code BLKFRI. This is a great deal considering most of the stores are currently sold out. 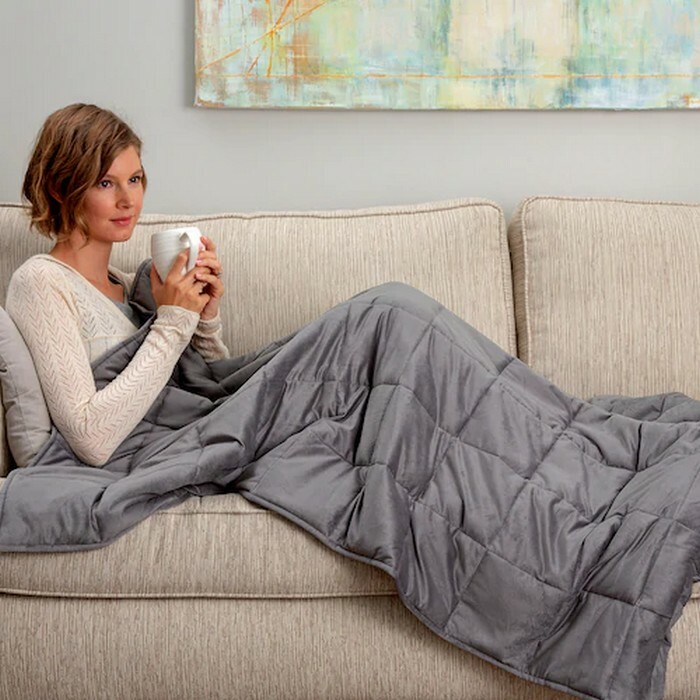 Take relaxation to the next level and comfort your body like a hug with the Sharper Image Calming Comfort Weighted Blanket. Weighted filling is evenly distributed over your body’s pressure points to help promote relaxation for a more restful sleep. Designed to be around 10% of your body weight. Relax and get comfy! Ideal for everyday use and not just for sleep! Use anytime, anywhere! Final Cost: $30.92 after $15 Kohl’s cash, $5.10 cash back, and $10 Welcome Check – If you are not a NEW member of Ebates.com you will pay $40.92! 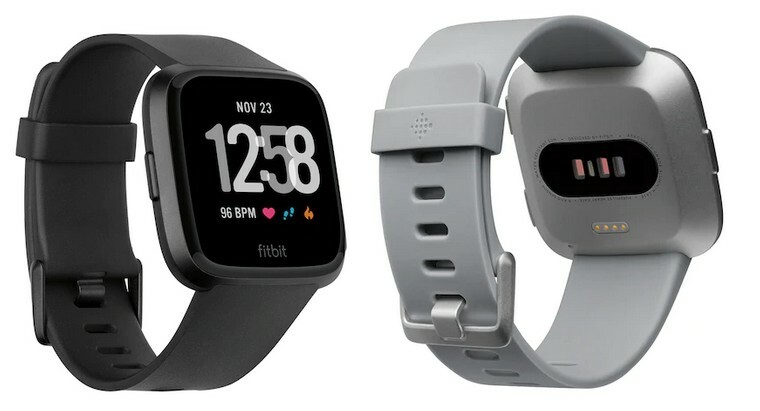 Head over to Kohls.com where you can snag this Fitbit Versa Smartwatch ONLY $149.99 (reg. $199.99!. If you add one more item, such as the Big One Towel for $2.99, you will earn $45 Kohls’ Cash, and go through Ebates.com and earn 6% cash back and $10 Welcome Check (by using link below) making this ONLY $88.42. 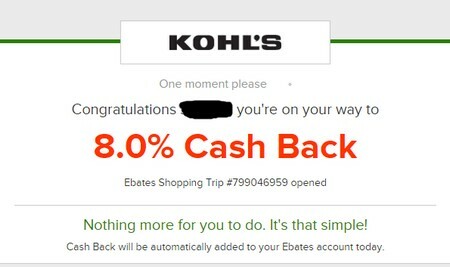 Final Cost: $88.42 after $45 Kohl’s cash, $9.16 cash back, and $10 Welcome Check – If you are not a NEW member of Ebates.com you will pay $98.42! Head over to Kohls.com where you can snag this Tranquility 12-lb. 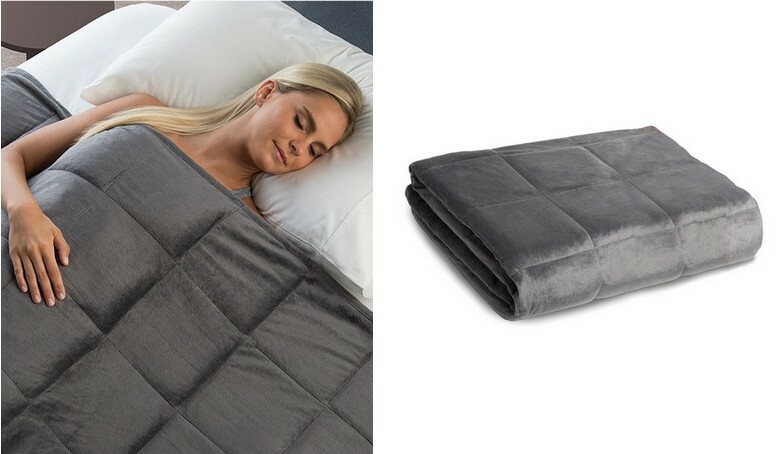 Weighted Blanket ONLY $59.99 (reg. $139.99!!). Be sure to use Promo Code CHEEFUL at checkout to get an additional 15% off plus $15 Kohls’ Cash, and go through Ebates.com and earn 6% cash back and $10 Welcome Check (by using link below) making this ONLY $22.93. I just got mine and it is AMAZING.. This applies deep, calming pressure that helps you relax to fall asleep, stay asleep, and wake rested. Final Cost: $22.93 after $15 Kohl’s cash, $3.06 cash back, and $10 Welcome Check – If you are not a NEW member of Ebates.com you will pay $32.93! Final Cost: $54.89 after $15 Kohl’s cash, $5.10 cash back, and $10 Welcome Check – If you are not a NEW member of Ebates.com you will pay $64.89! Head over to BestBuy.com where the Black Friday Deals went live. Right now you can snag select Video Games for oNLY $29.99 (reg. $59.99!!) Plus FREE 2-day shipping!! Save 50% on select top titles on disc. 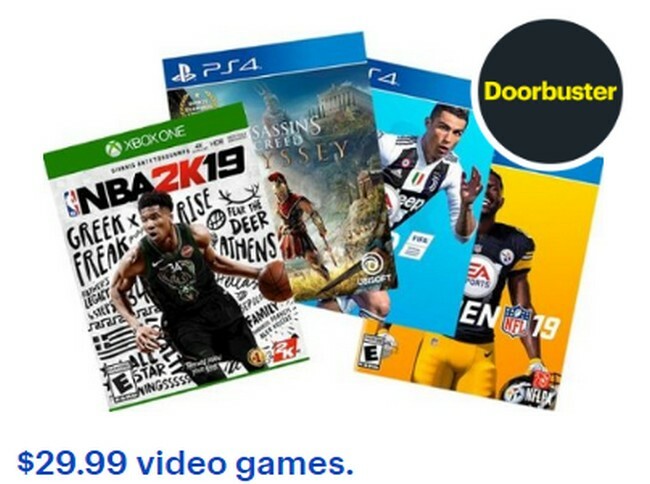 Choose from NBA 2K19, Assassin’s Creed Odyssey, FIFA 19, Madden NFL 19 and Shadow of the Tomb Raider. 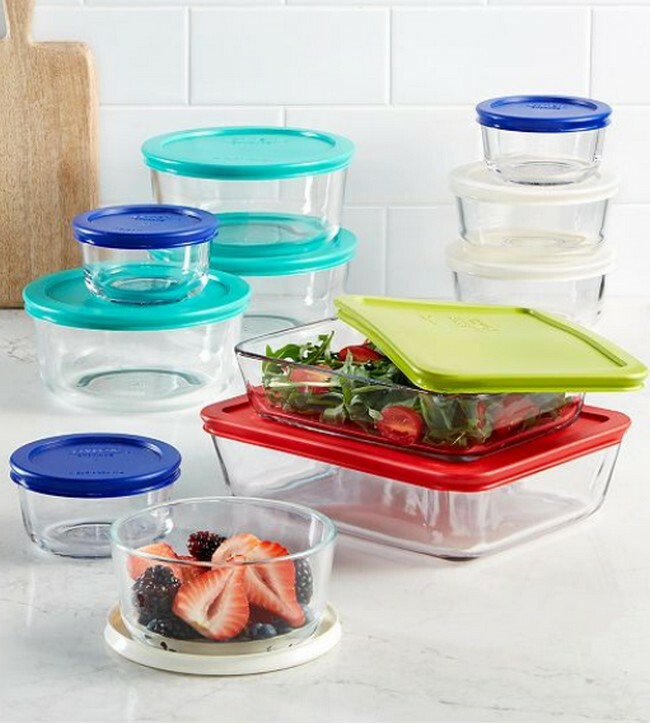 Head over to Macys.com where Black Friday Deals are Live including the Pyrex 22 Piece Food Storage Container Set ONLY $17.99 (reg. $79.99!!) after $10 Mail in rebate! You can snag FREE shipping on orders over $49! After you’ve cooked up a storm, keeping prep items fresh and leftovers secure is a breeze with this Pyrex durable and dependable storage set. 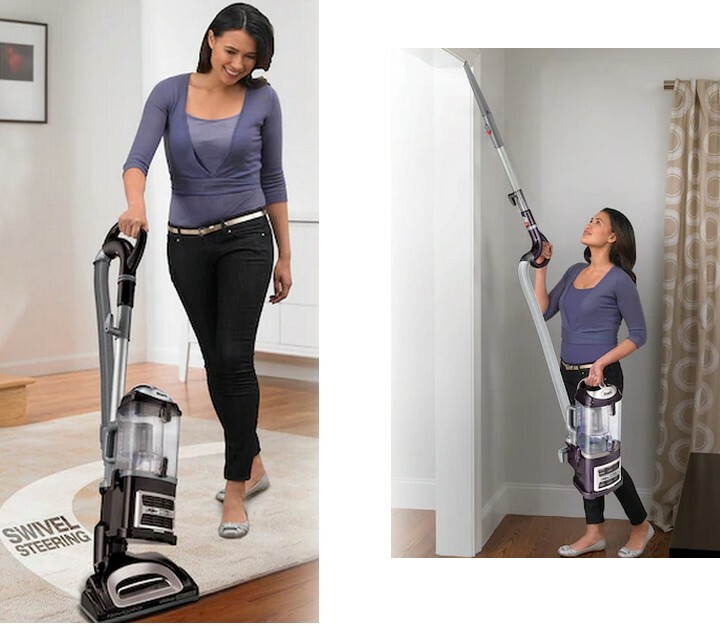 Head over to Macys.com where Black Friday Deals are Live including the Bella 1.2-Qt. Air Fryer ONLY $7.99 (reg. $44.99!!) after $12 Mail in rebate! You can snag FREE shipping on orders over $49! 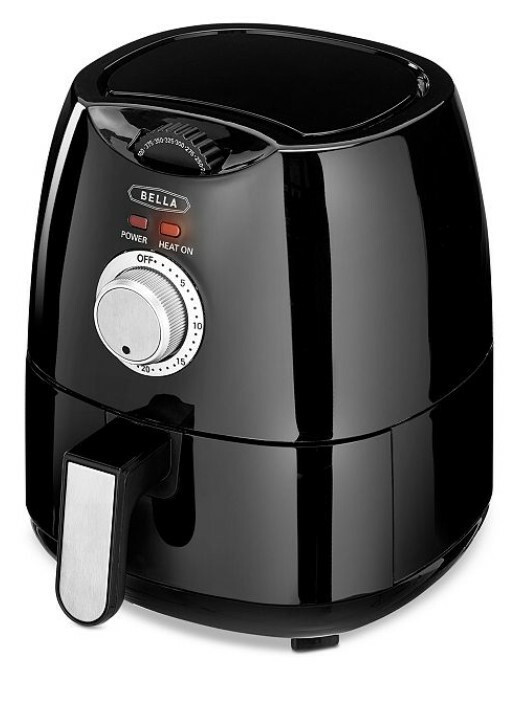 Bake, roast or grill with this 1.2-quart Bella air fryer from Sensio. Its convection technology gives you crisp, even cooking that requires less oil than deep frying. Head over to Macys.com where Black Friday Deals are Live including the Martha Stewart Collection Spa Mix and Match Collection ONLY $5.99 (reg. $20!!)! You can snag FREE shipping on orders over $49! 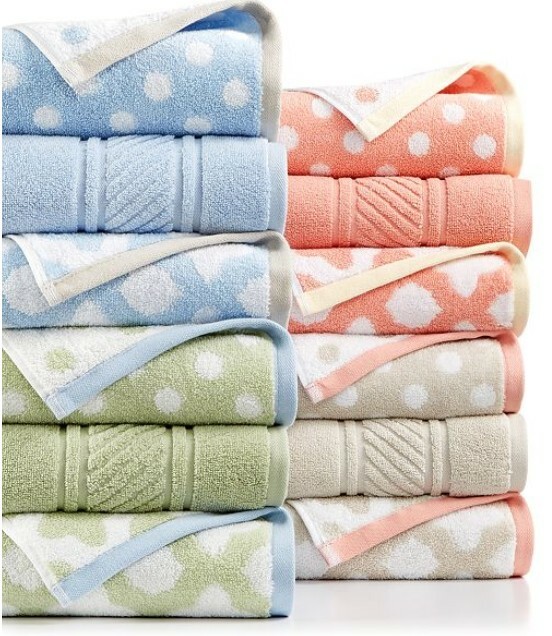 Bring a fresh look and feel to your bathing essentials with the luxuriously soft cotton and delightful dot pattern of this Spa Fashion bath towel from Martha Stewart Collection. 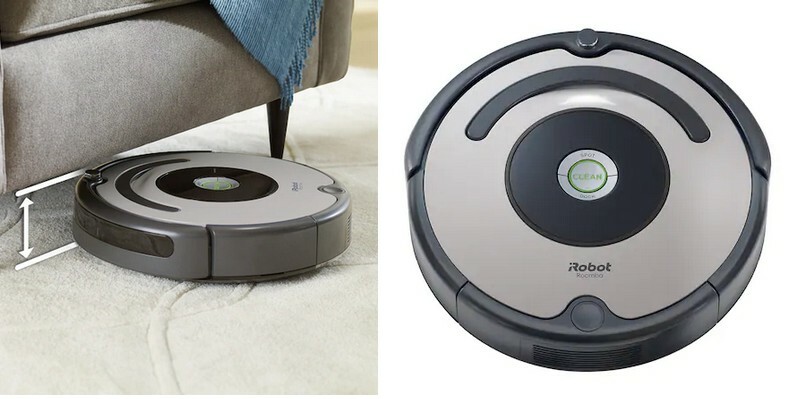 Head over to Kohls.com where you can snag this iRobot Roomba 677 Wi-Fi Connected Robot Vacuum ONLY $249.99 (reg. $449.99!). Be sure to use Promo Code CHEEFUL at checkout to get an additional 15% off plus $60 Kohls’ Cash so it’s like paying $152.49. BUT you can sweeten it even more if you go through Ebates.com and earn 6% cash back and $10 Welcome Check (by using link below) making this ONLY $129.74!! Final Cost: $129.74 after $60 Kohl’s cash, $12.75 cash back, and $10 Welcome Check – If you are not a NEW member of Ebates.com cost will be $139.74.